Hej! Är det Abec 11 biltin kullager på custommodellen, eller måste man köpa till spacers? Spacers are included in all completes provided by us. Please double-check with your retailer as some retailers make their own complete packages with parts from third-party suppliers. Dette brettet har en sykt fet grafikk! tjena! om jag väger 80-85 kg, och jag vill ha en ganska styv bräda men som ändå flexar okej så att man kan carva, vilken av denna, den mjuka versionen och pinstripen skulle ni rekommendera? I would recommend this version over the soft – 80 kgs is too much for The Fibrefish Soft. According to my preferences, this model is a better carver than The Pinstripe. jeg veier omtrent 72 kilo og vokser enda, ser etter et allround-brett og lurer på om dette blir veldig hardt? That is a really difficult decision, but at 72 kgs, The Fibrefish Hard is a really stiff ride. jeg veier rundt 78kg, går ut ifra at jeg vil stabilisere meg rundt 79-80kg. leter etter et allroundbrett som skal brukes hovedsaklig til bycruising. er det dette brettet jeg burde gå for da? eller har dere noen andre forslag? This is a good suggestion for the city as the shorter wheelbase allows for tighter turns and quicker handling. As far as the flex goes we would recomment that you go for the harder one. At 95 kgs/190 cm you should really go for the harder flex! har dette brettet selv, men lurer på om man må ha spacerne på, vil hjul touche brett uten? hvis noen har prøvd.. I think you mean the risers, right? Anyways, wheels below 70 mm work pretty well without the risers if the trucks are not to loose, but with bigger wheels and looser trucks it is pretty easy to get a wheelbite without the risers. Try it out yourself and see if it works out OK for you without the risers! kan man inte köpa brädorna på denna sidan? hittar inget pris eller liknande? 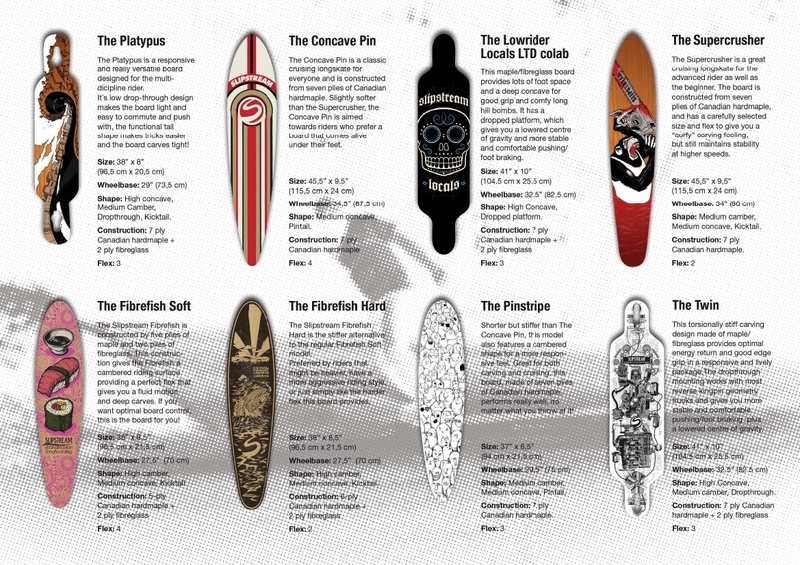 Hi, I’m new to longboarding, should I get the fibrefish hard or the pinstripe for my 63 kgs? What kind of trucks (Randal or Holey) and wheels (Orangatang 70 mm 4President 80a or 83a) should i get? The Fibrefish hard will be pretty stiff for you, so we would go for The Pinstipe. The truck brand is a really personal preference, both brands that you suggest make great “turny” trucks with their stock bushings. Regarding the hardness of the wheels we would recommend the 80a as an overall wheel over the 83a unless you are getting into sliding, but this is also a really personal preference. i weigh about 65kg. Can i use it? Why is it so bad if it’s stiff? Sure you can use it! If you want a stiff and rigid board this will be all good, but if you want the board to flex you should consider other options. 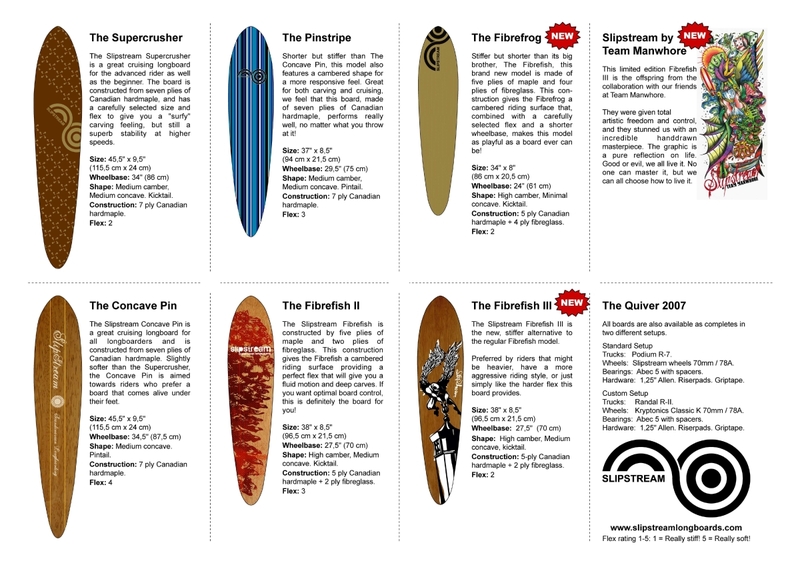 Some people like boards that flex, others dont, it is just a matter of personal preference! Ok, so i bought it and i’m kinda in love with it. I just want all this snow to melt, and all pebbles on the street to be brushed away so i could ride it! Were did u buy your josef? 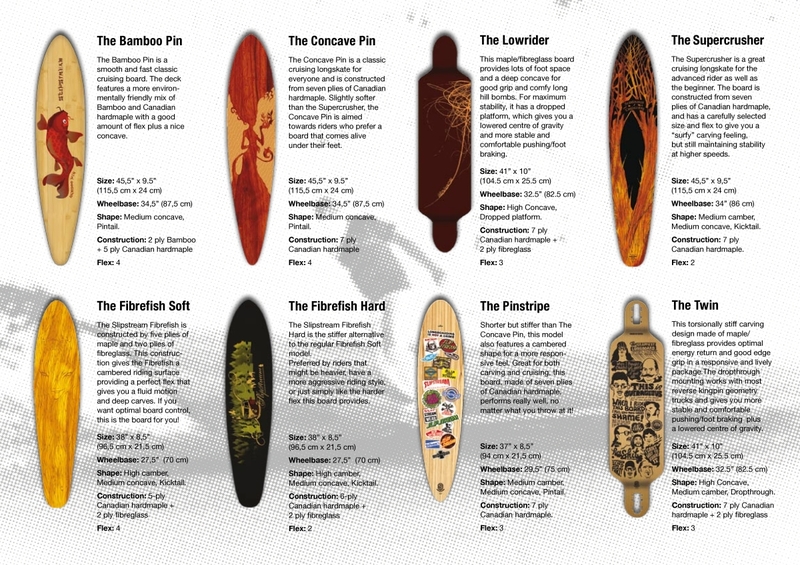 I really dig this board and the deisgn is splended did u get the 2009 or 2010 edition? Hei jeg er en gutt på 14 år og jeg veier ca. 50-54 kg og er 1.73 lang. jeg vokser forsatt da og jeg lurer da på om hva brett jeg burde kjøpe. jeg har ikke hatt noen brett før så dette blir første gangen. så derfor spør jeg dere hva dere foretrekker. Lots of flex is for lighter riders or riders that prefer lots of flex. There are heavy riders that like flexy boards and light riders who prefer stiff boards, so flex is really a matter of taste and preference. At our demos, beginners usually prefer the Lowrider, the Twin and the Wedgie, but as always, try it before you buy it if possible! what does the flex mean? Does it mean that if you have a board with much flex, then it is for people who are ligth? And i you have a board with less flex, then it is for people who are heavier?